Remember the dude from that stand-up-gone-viral act about his aggressive but equally adorable Pinay mom Josie? 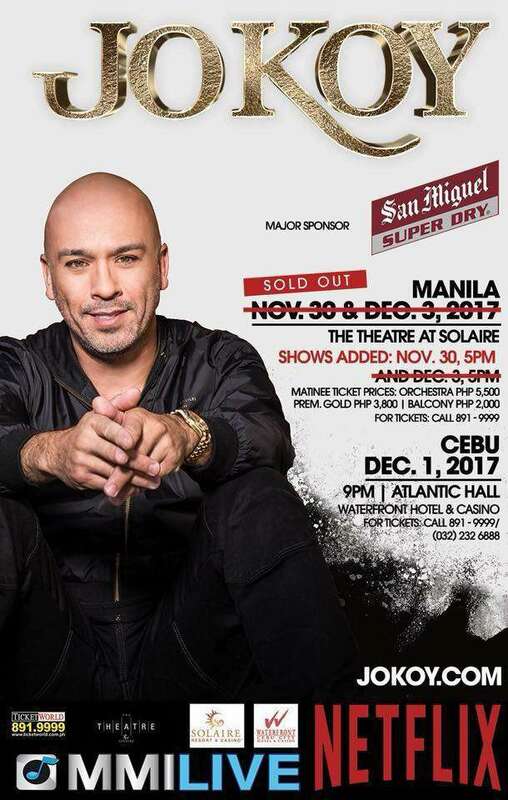 Well, Jo Koy, the comedian behind it all, is coming to the country by the end of the month. 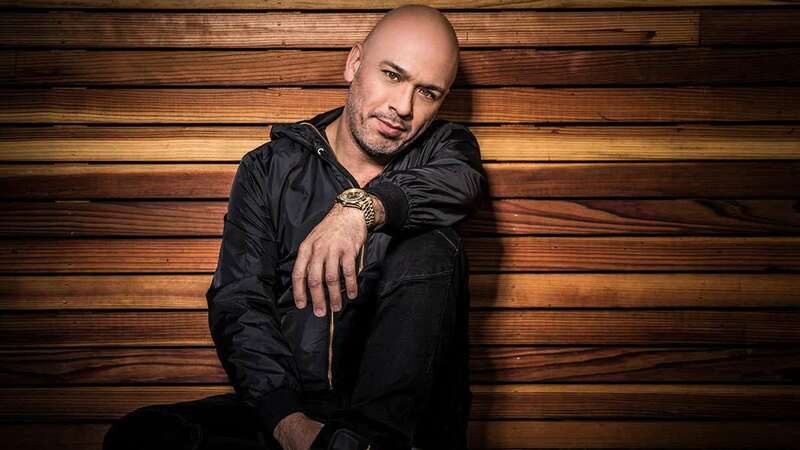 The Fil-American comic, whose real name is Joseph Glenn Herbert, will be visiting his homeland for a series of comedy shows in Manila and Cebu, after taking social media by storm with a hilarious excerpt from his Netflix Original Jo Koy: Live From Seattle. 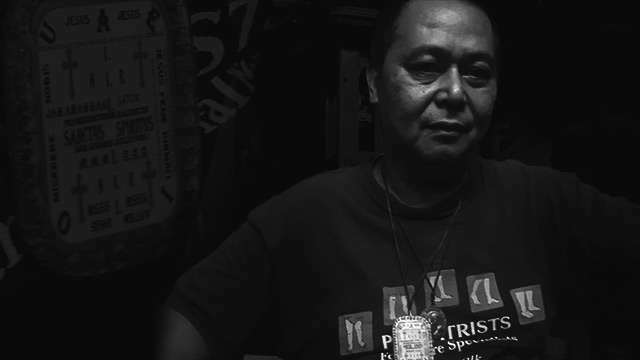 Poking fun at topics such as his mother's obsession for Vicks and his son's hygiene (or the lack thereof), Jo draws heavily on personal experiences, particularly those involving family, for his stage material—anecdotes that Filipinos can relate to best. Once upon a time, he only performed in front of his loved ones, and now, the man is selling out venues abroad and releasing highly anticipated comedy specials. What's more impressive is that despite his busy schedule, Jo Koy the entertainer granted FHM an interview over the phone, weeks before his PH trip. Has it always been like this, speaking about the Pinoy way of life in good jest? How much of your act is about your roots? I've always tried to put some Filipino stories in my stand-up. When I wrote my first special, that's when it became like a fixture in my routine. This third one really took off very well. I'd like to say 40 percent of it? I try to keep my mom present throughout the routine. Do you explore other themes in your comedy routines? It's always family—whether about me or my family members. I don't go outside that circle. If I do observational, that's usually when I walk out on stage, and talk about what I've seen and what I've done. But other that, my style is always just family. What makes the family such a compelling subject, especially with you as a part of an extended kin? I don't think it's really interesting, it's just the one thing that I really identify with the most. Growing up as a kid, it's always fun to jump around with the family. My whole family is funny, and we're always trying to entertain each other—whether it's karaoke or a talent show, there's always entertainment involved in the family. Describe the thought process when coming up with your stand-up material. I just look for a story, and simply talk about it. And it just lightens up on stage. I've never been scared to actually just go up on stage and just start talking. Especially with my son, whenever he does something stupid, I go right on stage and start talking about it. In this age of sensitivity, how do you make sure that you aren't being offensive with your jokes? Every time I tell a story about my mom, the first person that should get offended is her. And if she doesn't get mad, then I don't care about anybody else. 'Cause I don't wanna tip my mom off. How integral was your mom in cultivating your career as a comedian? I will give it to my mom. She's the reason why I wear so many hats throughout my career. Every event that we went to, my mom always had a hand in it. She was at it every year. She was always involved in the community. So I guess that's (the area) where my mom helped the most. She seems to be the supportive type, after all. Funny enough, she was not having it at first. My mom didn't want me to be a comic at all. It took a lot of years, a lot of convincing. There were times when she told me, 'Go ahead, just quit, Josep. Anak, no more stand-up!' But finally, it came through, especially now. My mom is really excited, she's enjoying what's happening right now. Would you consider performing here as some sort of 'homecourt advantage'? No, not at all. I think this has been going on for almost 30 years. The joke translates no matter where you perform. They get it here in New York, and they're going to get it in the Philippines. But yeah, it's going to be kind of cool to have so many people in the audience that are just going to be Filipinos only. Have you ever thrown a punch line on stage and no one laughed? I think that's a long time ago. Now, I have a fanbase and they're somewhat ready. Don't get me wrong, whenever it comes to a new joke, I know when it's not funny, just like how the crowd is reacting right when I start saying it. I've learned to get that joke over with and walk away from it. Have you seen Filipino comedy? If yes, how influential were the local funnymen to your brand of humor? When I was a kid, my sister and I used to always watch Tito, Vic, and Joey—that's one of our favorites. And then of course, Eat Bulaga, Dolphy—I used to watch it. I've always enjoyed the physical humor, even though I couldn't really speak Tagalog too well. I mean, I understood most of the jokes, but they always sold it with their physical delivery. How is hosting a weekly podcast, The Koy Pond, different from cracking up a live crowd? I love the podcast. It's so off the cuff. There's no structure to it. It's just me having fun with my friends, recording it, and just putting it out. It's literally 100% stress-free, I don't have to worry about anything when I do that pod. Of course with stand-up, I have to go out every night, figure out the audience, see what they like, and then go from there. I actually have more fun doing that. Any last words for aspiring stand-up comics? Just stay in your lane and stay focused, because it's a long, hard road. If you're thinking about doing stand-up, don't think it's going to happen overnight. It took me 28 years to get here, but I did enjoy every year. Every moment of the way, I enjoyed it. And remember it's a long, hard road...especially when your mom is a Filipina.